Kids and parents know the routine. Heck, it's even ingrained in Daniel Tiger's "Morning Song", a catchy tune that my husband and I used to sing to help my five-year-old get ready for her day: "Clothes on. Eat breakfast. Brush teeth. Put on shoes. And off to school!" But if I take a hard look at reality, those steps are purely aspirational. More accurate lyrics would go something like, "Clothes on. Eat breakfast. Accidentally splatter milk all over your clothes. Whine that you're now all wet. Go change. Get distracted. Listen to your mum complain about being late again. Put on some new clothes. Brush teeth. Put on shoes. And off to school!" And the cycle repeats the next day. Sorry, Danny T, but it is time to disrupt mornings with small children. One thing you can do to get everyone out the door faster is have your kids get dressed after breakfast. You're anticipating disaster (which is more of the norm than the exception when you're dealing with tiny humans who haven't mastered their fine motor skills). Pyjamas can be tossed into the wash if some jam and syrup gets on them. It will not mess up the process. 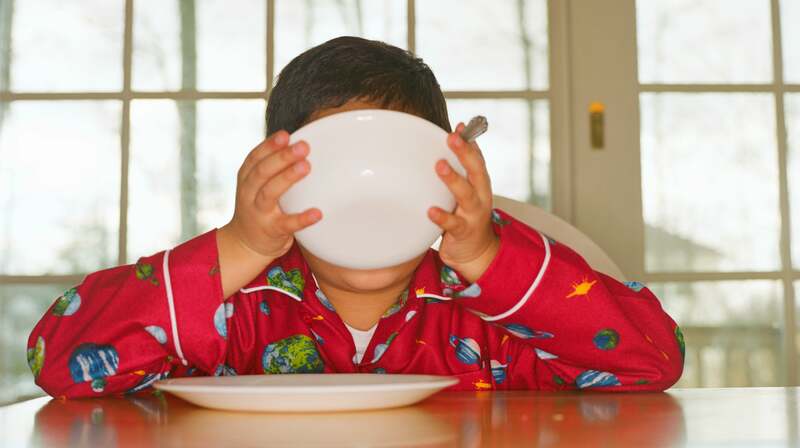 I've heard that some parents even have their kids bring their school clothes with them to the breakfast table, and after eating, get dressed right there in the kitchen. It cuts out the step of having to walk back to their bedrooms, where they will probably get stuck for another 10 minutes. Hey, you must do whatever you can do to shave off precious time - even if means changing up your morning jingle. The other reason to get dressed after breakfast is because it reduces the morning arguments about getting dressed and ready. The blood sugar boost from breakfast helps them to be more productive and amenable to the stress of leaving the house and going to school.